• Perceive the energy around you and change less harmonious energies into positive ones. • Deepen your intuition, access creativity and connect with Divine Mind. • Experience a stronger sense of compassion, peace and personal power. • See and choose actions that reflect the light of your soul and higher self. • Use your light body energies to support you in making profound shifts in your life. In this course you will learn how to awaken and use these energy centers to support you in making profound shifts in your life which are in alignment with your life purpose. 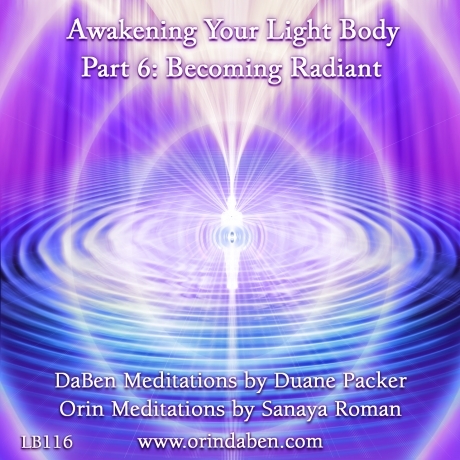 As your light body awakens you grow more radiant. As you use the light body meditation techniques you will gain a stronger connection to Universal Mind. As this connection increases, you can more easily attract opportunity, abundance, and loving relationships. As you bring more light into your energy field you become more magnetic and can attract situations and people to help you make a difference in the world. You can use the light body energies for healing, for creating and transforming your life and for spiritual growth. Awakening your light body can support you in all of your relationships. By using your light body skills you can enhance the energy in business meetings, at family gatherings, in intimate relationships and in your daily activities. People will often feel more peaceful and have higher thoughts just by being around you. If you are around children these energies may help them stay calmer and more focused. You can attain deeper states of forgiveness and compassion that allow you to release people and events that you couldn’t let go of before. You can learn how to use all the energy around you to harmonize and transmute denser energies while staying calm and centered. Many people will experience increased psychic abilities and clairvoyance. From the light body states of awareness you can connect more fully with your guides and the higher dimensions of light. You can gain greater clarity and insight into all situations and when making decisions. 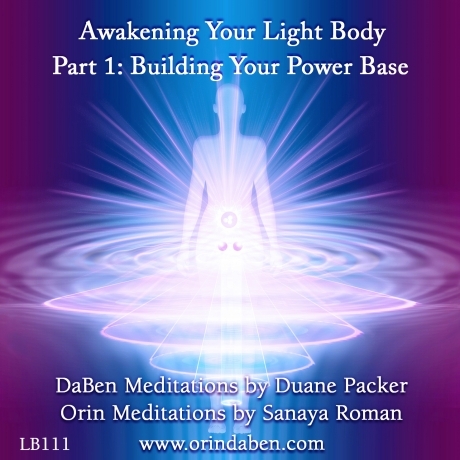 The Awakening Your Light Body course was originally developed and taught by Duane Packer and Sanaya Roman of LuminEssence. The material is taught through guided meditations, discussions, question and answer sessions, partner exercises and physical movement. You will learn how to apply your light body skills to real life situations. The class is structured to support your success during and after the course. The Kingston class will be taught in a series of 8 monthly classes. Students are required to attend all 8 classes and practice with the home-study CD’s between live classes. 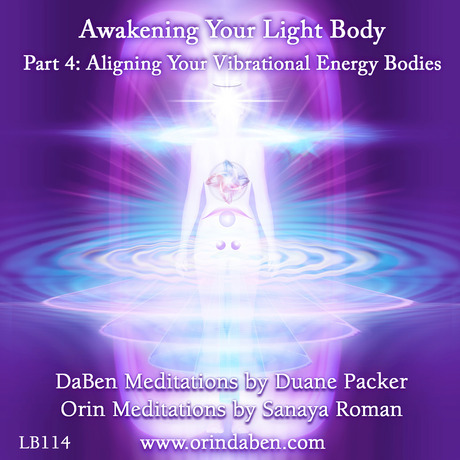 Awakening your light body can assist you in achieving more inspired and intuitive states of consciousness. If you are working with others in any way, it will help you to have more profound effects as your increased light expresses through you. Awakening Your Light Body is transformational. non-judgment and respect. It is a tool kit, a discipline and a path that works with other paths and on its own. This course is taught in a series of 8 classes which are approximately 1 month apart. In between live classes you learn and practice at home with the audio set. is a very important part of the awakening process both during and in between live classes. Class 7 Oct 27, 2019 Review/Refine, Putting it all together / Celebration of Completion! Last 2 classes : no payment due. ABOVE COURSE IS A PRE-REQ FOR THIS SERIES.